Whether you are visiting Fort Lauderdale from far off destinations or a local in serious need of a stay-cation, Fort Lauderdale is a vibrant place to visit! With miles of beaches, world-class dining and nightlife as well as the Everglades, the choices for fun are virtually limitless. One of the best ways to truly enjoy Fort Lauderdale is get out on the water. Boat rentals are now easier and better than ever with the rise of boat sharing. Boat sharing allows individual boat owners to seamlessly (and safely) "list" their boats for rent and those who want to enjoy time out on the water now have access to a boat to call their own for the duration of the rental. Choose your adventure: Maybe it&apos;s off shore fishing, dockside dining or a sandbar party (or all of the above?). Of course, the boat&apos;s location, the number of passengers it holds and availability all factor in as well. You have no boating experience. You have no knowledge of the local South Florida waterways. You want to relax with no obligation. The boat you chose is bigger or different than what you&apos;re used to. You want a local to help you get to the best spots. If you are in the Fort Lauderdale area (or a Laudy local), getting out on the water is imperative to truly experiencing the full view of this fun-loving part of the world. Creating your own private boat rental experience and heading out on Fort Lauderdale&apos;s waterways will take your stay here to the next level. 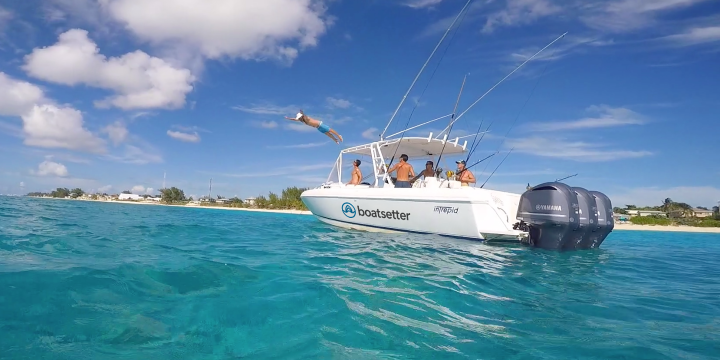 South Florida-based Boatsetter has led the boat sharing marketplace from its inception and offers one of the most unique models due its captain network. The option to include a licensed, knowledgeable captain in the boat rental means truly no experience is needed.